Strike up the band and cue the fireworks, we have a victory to celebrate! 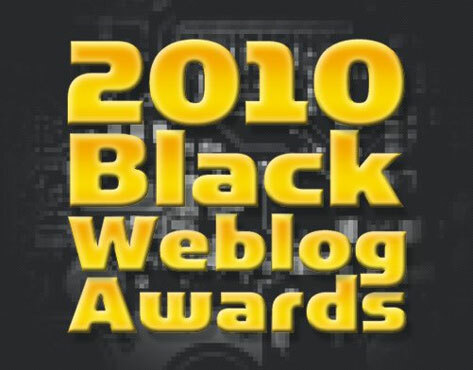 I am happy to report that yesterday the 2010 Black Weblog Awards were announced, and SoulBounce won the popular and judges' vote for Best Music Blog. Thank you to everyone who voted for us--whether you love us like your cool cousins or we get on your nerves (but deep down you still love us) like your big sisters. This is our second victory in the BWA's (we won this same category in 2008), yet it's just as sweet. SoulBounce winning as Best Music Blog is not only a win for all of the hard work that my team--Huny, ill Mami, Ro, Moon, Ivory--and I, Butta, put in daily, but also a win for quality urban music that often doesn't get the same exposure as songs that leave you wanting to throw your radio out of the window do. As we go into our fourth year of existence, this BWA is confirmation that what we do isn't in vain and that people are hungry for quality content, which we try succeed at delivering and showcasing. 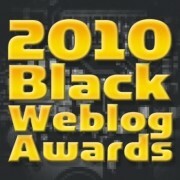 Congratulations to our fellow nominees and to all of this year's winners. Found this site 2 years ago when looking for the Loose Ends reunion. Have been exposed to so much more. P.S. Suffering from some major SOMJ withdrawl....lol. Big ups to the Soulbounce crew. You all do great work & i am happy that you won the BWA. You gave me a platform to showcase my mixes plus also turned me on to some great new music. Keep up the good work. Congratulations! I love this site. Well deserved!!! Thanks to the entire team for keeping us clued in to GREAT music. Love ya! Congrats! where da after party at? this site is in a league of its own. Congrats! The honor is well deserved. Woo-hoo! You deserve all that and more. Just found your site a couple weeks ago...I think because of your MJ Top 50 countdown. Came for that and keep coming back to hear some great new tunes and all the dusties that still hold up. Thanks for brightening each day. 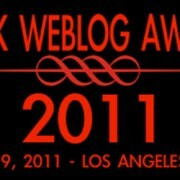 congratulations--y'all deserve it! this site is where i get my music news, and find out about folk i never heard of before. i love it... and make it my business to check in with y'all at least once a day. thanks for all you do. CONGRATULATIONS~!! You bet I voted without a blink for you all!! I discovered you all by chance and I have been enjoying months of great, innovative, most of all REAL MUSIC!! I feel we are indebted to you for bringing us such great and fresh content! Keep doing the great work! I really have found so many new artists that I love and will be supporting!! 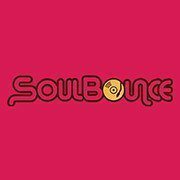 I'm excited to see where Soulbounce will go. God bless!